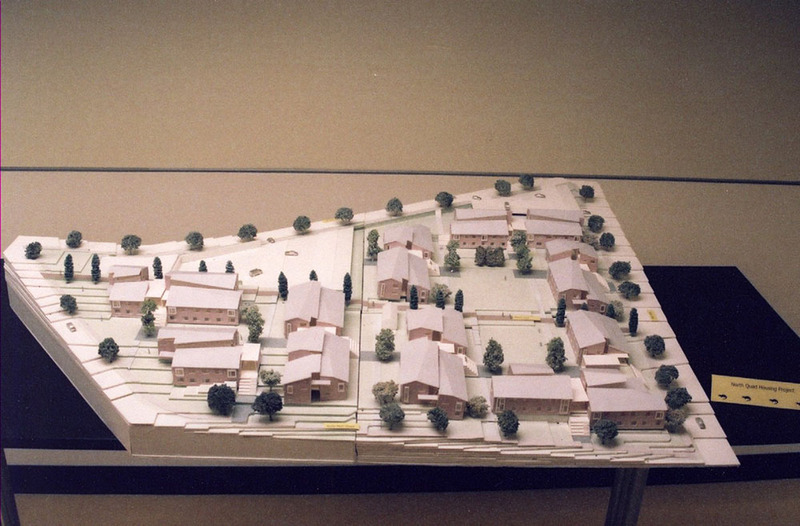 In 2008, the planning and designing process began for a new residence hall on Allegheny College’s campus, necessitated by the continued growth of the school. North Village II was designed to advance the College’s commitment to sustainability by including numerous energy efficient features: use of Forest Stewardship Council-certified wood, materials with high recycled content, open spaces with vegetation to reduce rainwater runoff, energy-efficient cooling and heating systems fed by geothermal wells, natural lighting options in living spaces, efficient showerheads, faucets, and toilets. “The design and construction of North Village II required hard work and creativity by many individuals,” said Kelly Boulton, Allegheny College’s sustainability coordinator, “We’re so appreciative of those efforts and are thrilled with the result: an outstanding residential space for our students that fits beautifully in Allegheny’s historic campus and advances our commitment to sustainability.” This building with enough room to house 230 students was opened in the fall of 2010. North Village II is the first new construction project in Northwestern Pennsylvania to achieve LEED (Leadership in Energy and Environment Design) Gold certification for the sustainable features in its design, construction and operation. 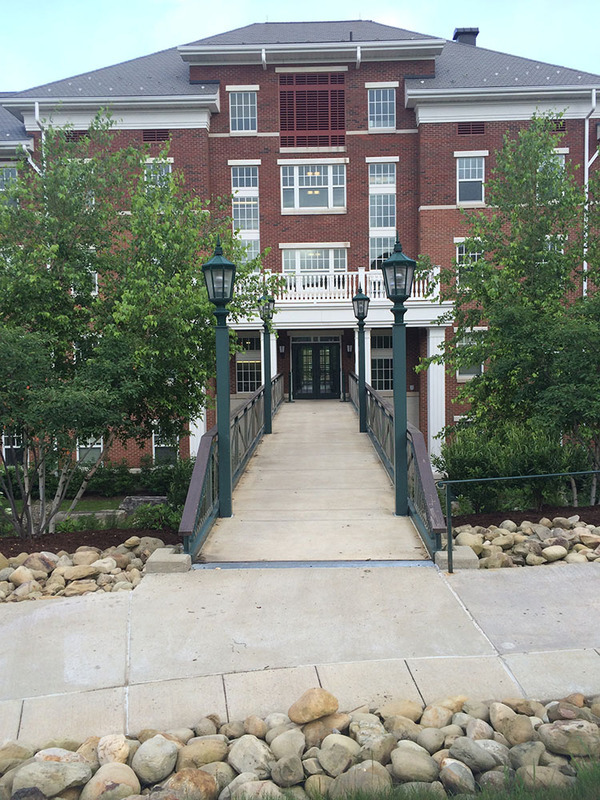 The project’s general contractor was Massaro Corp.
Allegheny College seeks to maximize energy and water efficiency and overall environmental responsibility when renovating existing and historic buildings on campus. North Village II uses geothermal or thermal energy, produced by pumping water into cracks through the Earth's crust, and then conveying the heated water back to the surface so that its heat can be extracted through a heat exchanger. In this case, there are fifty wells 500 feet deep that were drilled in the courtyard. This type of energy is used to service the cooling and heating of North Village II. This goal of this residence hall to create an environment in which there is global understanding. The College puts in the time and money to become sustainable with benefits of over $500 per year in savings due to its efficiency motors. Dual flush water closets have been specified that vary the amount of water required to flush the toilets. Along with water saving shower heads and water limiting aerators on the faucets, Allegheny will save 36% or nearly 180,000 per year. Cindy Ramirez, “North Village II,” NW PA Heritage, accessed April 26, 2019, http://nwpaheritage.org/items/show/30.